Study abroad in Mexico, summer 2018. 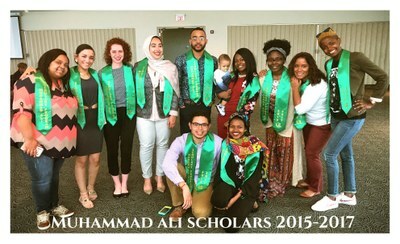 The Muhammad Ali Institute for Peace and Justice at the University of Louisville advances the work, study and practice of peace building, social justice and violence prevention through the development of innovative educational programs, training, service, and research. The pursuit of peace and justice is more important than ever as we witness challenges in the U.S. and globally. Displaced people in Africa, the Middle East, and in the Americas directly confront violence, war and a lack of government protection on a large-scale today. In the U.S., the demand for justice has led to closer scrutiny of law enforcement actions recognizing the disproportionate impact on marginalized communities. We are mindful of Muhammad Ali’s legacy as a transformational humanitarian and courageous warrior for freedom, justice, and equality. His courage, passion, and conviction inspires all of our work. At the Muhammad Ali Institute for Peace and Justice, we continue our work supporting a community of scholar-activists who seek to be agents of social change. This year we honored Muhammad Ali in a series of campus and community events. 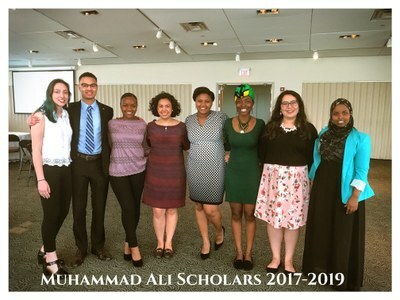 We were pleased to welcome the 2017-19 Muhammad Ali Scholars into our community and celebrate the 2015-17 Muhammad Ali Scholars at an event hosted by the Muhammad Ali Center on March 30, 2017. We are excited about “translating research into action” through the work of our Faculty Research Group and the Institute’s involvement in the new Cooperative Consortium for Transdisciplinary Social Justice Research. We also are enthusiastic about expanding and deepening our work with community partners while remaining focused on our unique programs addressing the violence facing young people in urban areas.